I review quite a lot of books on here, more than time will permit me to read and I’ve had to turn down book reviews recently due to my ongoing travels (currently in Brazil for the World Cup), but sometimes when a new book comes out, I get excited. Especially with this one. 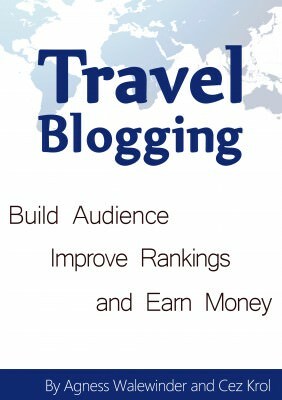 If you know nothing about travel blogging and the potential of it, this is a must buy. I assure you of that. The authors have been through it all – Cez and Agness are hard workers – after growing up in Poland and getting a degree in England, they headed into the sunset and haven’t looked back. Their blog eTramping is one of the best out there. Read it and you’ll know it. Agness and Cez are real life honest, hard working people and the success eTramping comes from their own passion and commitment to their fantastic site. Agness and Cez have made the mistakes before as travel bloggers, they learned from them. then you are likely to build your audience, improve your rankings and earn some money. I thoroughly recommend the book to any new and up and coming travel bloggers and writers out there. This entry was posted in Book Reviews, Books, Destinations, Products. Bookmark the permalink. Great to see you endorsing the book. I bought it last week and read it straight away. 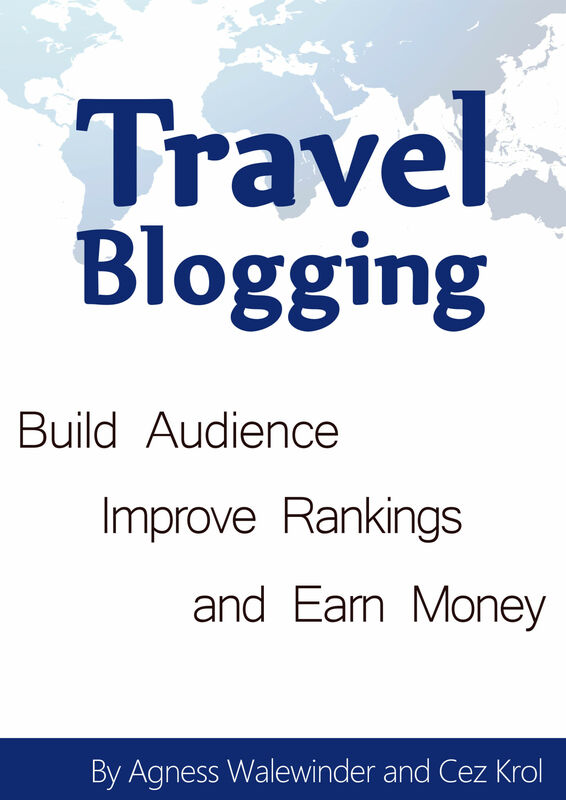 It is jam packed with information for anyone wanting to start out in the travel blogging world. These guys have done things the honest and hard work way. They have built a sustainable and enduring community on the web and their success is testimony to what can be achieved with incredible dedication and hard work. My only wish is that the book was released earlier. Had I read it then I could have avoided lots of mistakes and done things better the first time.